In 2015, the Queen’s Award for Voluntary Service – the MBE for voluntary groups – was awarded to Guildford Street Angels. 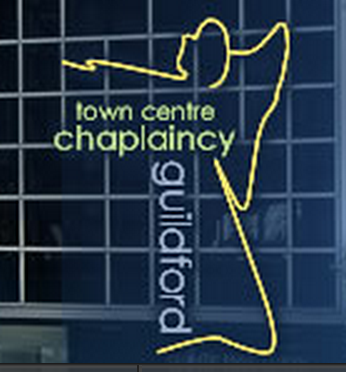 Guildford Street Angels has been on-hand and visible throughout the town on Friday and Saturday nights since 2008. Street Angels are part of the Town Centre Chaplaincy and GURC has donated money since its inception to help fund the staff, training and equipment that is needed. We have one representative as trustee, and also two members of the congregation who volunteer for the 10:30pm – 4:00am shift! Street Angels have helped ensure many a reveller receives a safe journey home. Help is offered to the homeless and anyone else who finds themselves in difficulty late at night, for example people who have missed the last train home or whose train terminates at Guildford without due warning or are suffering from the effects of alcohol or drugs, including spiked drinks. We are well known for the lollipops and flip-flops that we give out; we also dispense water and tissues, wet wipes, space blankets, hand gel and offer basic first aid. We pick up bottles and sweep up broken glass, and in the last year alone have cleared up over 1000 bottles from the streets of Guildford. Please contact us if you would like to know more about joining the team, or if you would like to support the team financially. 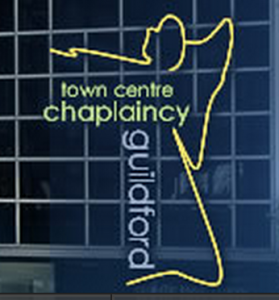 For more information, please visit the Guildford Town Centre Chaplaincy – Street Angels website.